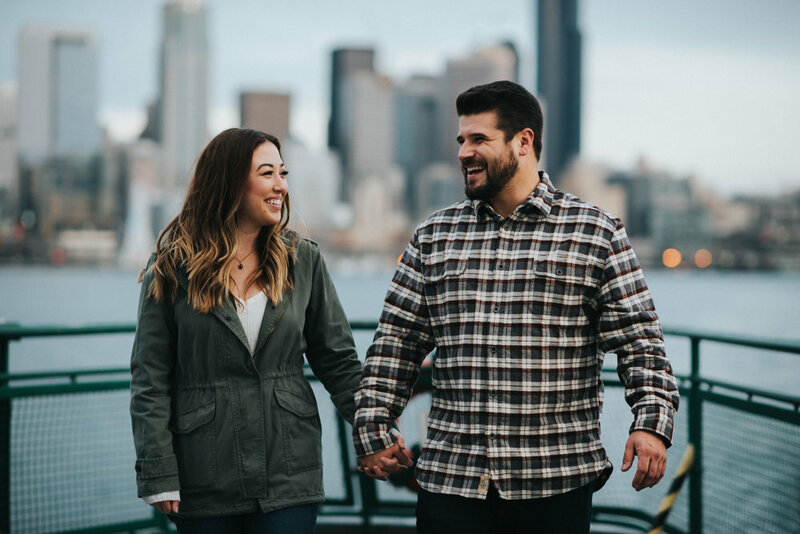 When Carina and Eric contacted us for engagement photos, we couldn't have been more excited! 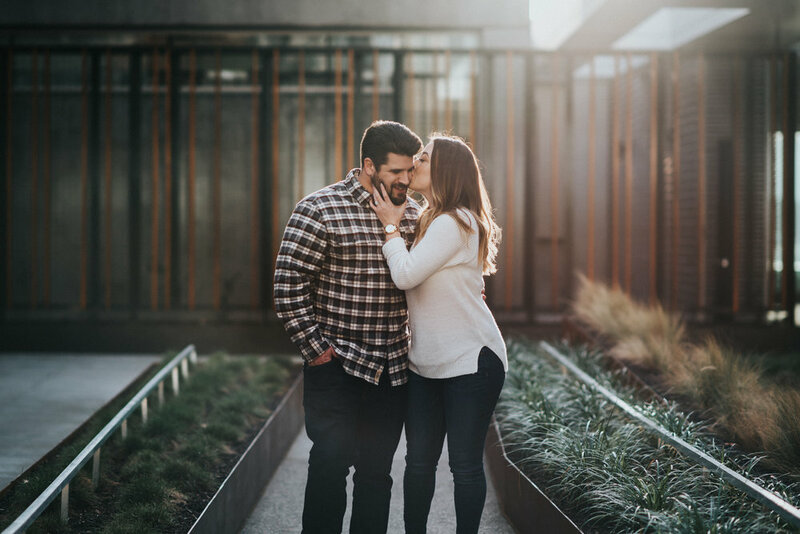 They actually live in Southern California, and we did their session while they were in town visiting the city! 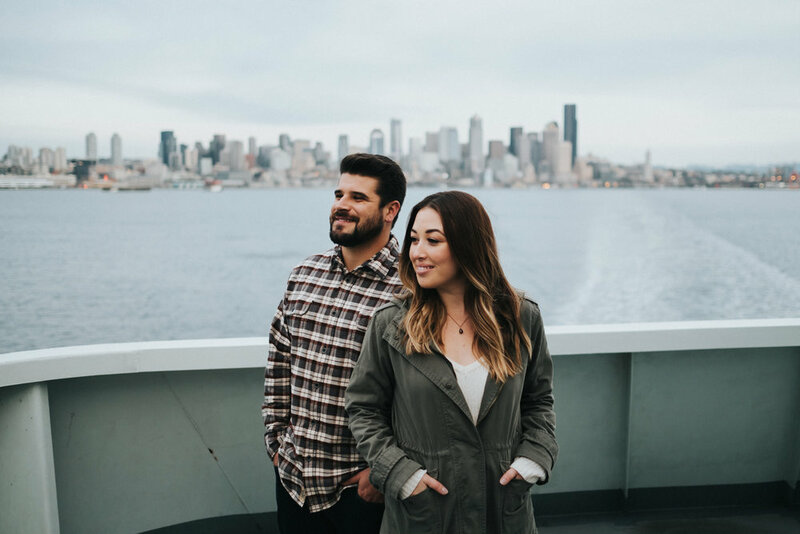 Carina has fallen in love with Seattle over the years and is currently working diligently to convince Eric to make the move. ;) Something tells me she doesn't need to work so hard... 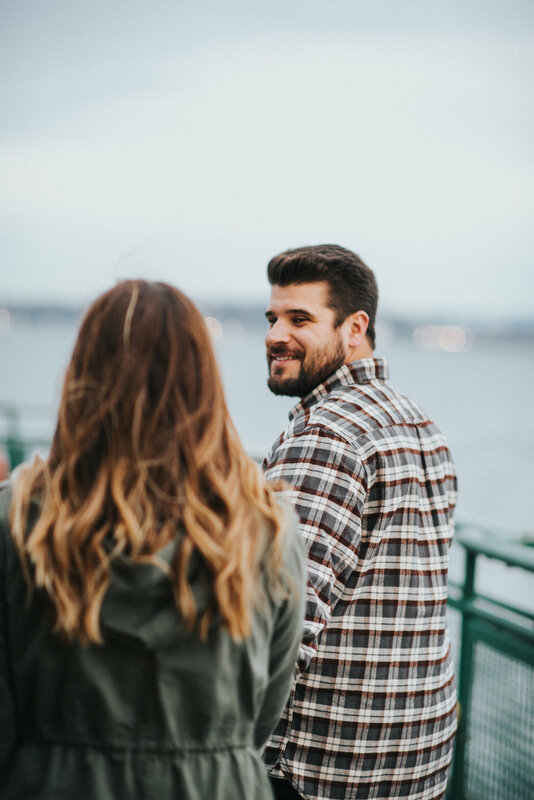 They both had the 'I love Seattle Glow' throughout their entire session!! 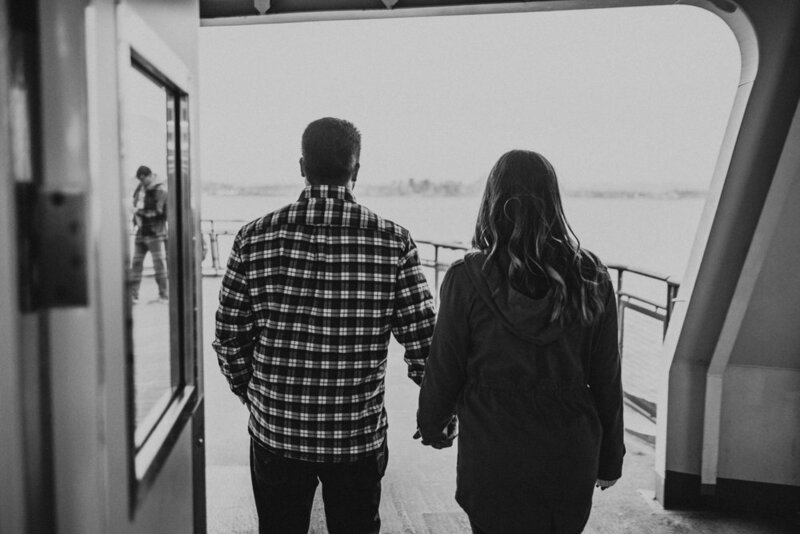 We ventured all throughout the downtown area... From Pikes Market down to the boardwalk... And got to finish up the session on the Bainbridge Island Ferry. SO much fun!! Thanks for running around town with us (literally!! We almost missed the ferry haha). 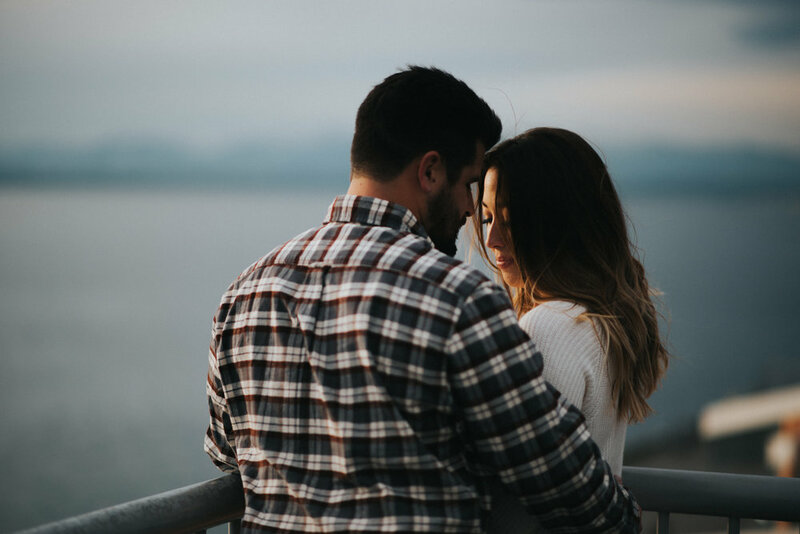 We had such a blast getting to know you guys and wish you all the best with your wedding! !